The Wells Barn served as the perfect backdrop to Bethany and Aaron’s celebration. 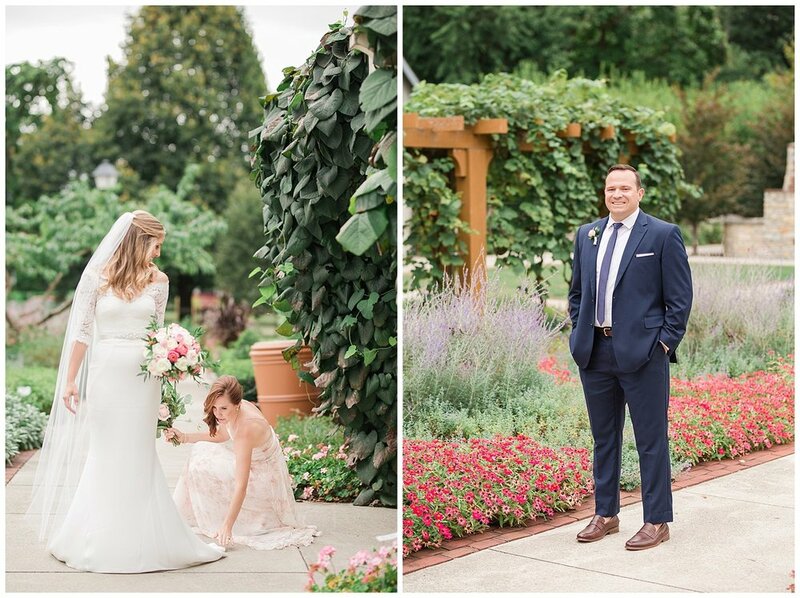 After spending the morning getting ready at The Hilton downtown we dashed through the wind and rain to get to our cars and head to the Franklin Park Conservatory. I must admit I was getting very anxious about the weather because the ceremony was scheduled to happen outside in the gardens and we still had all of our portraits to take. I'm pretty sure the bride and groom were the only two people not concerned with the forecast-- they were calm, cool and collected the entire time and Bethany never stopped smiling and assuring me it would be fine. In the end, all the rain dancing must have worked because even though the radar had an ominous green blob overhead for most the day we stayed dry minus a few sprinkles here and there. It was so wonderful to be a part of their celebration and to witness all of the of love these two share with friends and family. Congratulations Bethany + Aaron-- thank you for allowing me to capture these moments.